I made it. Yesterday I walked 15 miles across London, visiting every station from Walthamstow Central to Brixton along the Victoria Line. Well, I say 15 miles. It was probably closer to 16 in reality, because I got mixed up and walked the wrong way at Seven Sisters for a while, and then got totally confused by Kings Cross St Pancras and ended up turning round three times before I finally managed to find Euston. I have the natural sense of direction of a concussed duck. Anyway! Batteries held out, food was good – pretty certain that bulla bread is basically the same as the elven waybread the hobbits ate in Lord of the Rings – and thanks to the decent pair of trainers I picked up when I started this whole mad thing, no blisters to speak of. Legs ache in a good way, and I seem to have developed unexpected thigh muscles overnight. And I can cross 16 more stations off my list. When I was 14 I was desperately unwell. I almost passed out while trying to run the 800 metres in a PE lesson – I remember the grass under my feet swimming, and for a while it felt like I was trying to run across the sky. I was eating perhaps half the calories I needed a day, because I was convinced I didn’t deserve to eat; looking back, it’s clear I was underweight. And I was often shaking or sick from shock, because of how badly and how often I was hurting myself. Yesterday I walked more than 15 miles. I got worse before I got better. Much worse. But I did get better, and Mind were a big part of that. Without their services I would have fallen through the cracks in NHS mental healthcare provision more than once – and so would many other people I love. One of Mind’s ongoing campaigns is to stamp out the stigma against mental illness that exists in the UK today. I’m still frightened of speaking about it – this blog post is pretty scary to write – but it’s part of supporting their work. I shouldn’t have anything to fear from talking about my problems, and neither should anyone else. And I’m living proof that with the right kind of help and a lot of fighting, it can get better. Between 1 in 6 and 1 in 4 adults in the UK suffer mental illness at any one time. If you or anyone you know (hi!) has benefited from the services Mind offers, please donate to support them. I’m plotting a few things I can do to say thank you for donations – but if you’ve any ideas, please share them. 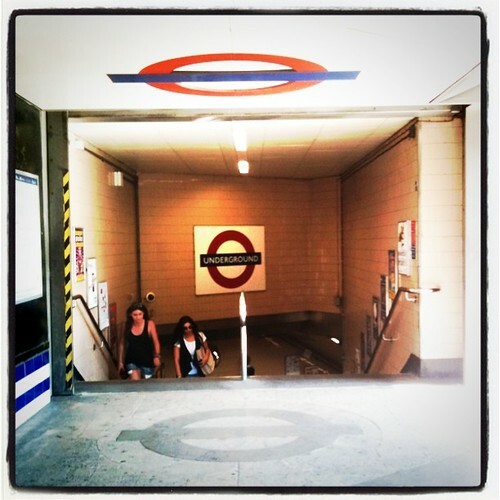 This entry was posted in mental health, success, Victoria line by Mary Hamilton. Bookmark the permalink. Thank you for sharing that about yourself. It takes a lot of courage.